Update 08-07-13: The A2 Migration Guide is ready for download. It will help you smoothly make the transition to new hosting. Just when EIG reported the worst of it was over from the blackout on Friday, they were hit by a massive DDoS attack Saturday morning. DDoS stands for Distributed Denial of Service. Unfortunately, it’s a common occurrence among host providers. Most happen and are resolved without you ever knowing about it. For your site to go down, either there is already another problem at the host or the attack is massive, or both. And that’s the combination EIG servers faced yesterday. It only served to further erode any confidence site owners may have had in HostGator and BlueHost. Read on for more on what’s happening and what you can, or should, do about it. Basically, it’s when a bunch of computers attack a single source. They create such an avalanche of requests and hits that it overloads the server into not being able to deliver anything reliably, and may force it to crash. Since the attack is coming from multiple computers from multiple IP addresses, it’s nearly impossible to block them without also blocking requests from good sources, like you and me. There has been what I call a rolling DDoS attack happening since last spring, and it’s only getting worse. This type of “botnet” attacks one set of server farms after another looking for a weakness. Yesterday they found several on the EIG servers and it seemed to hit HostGator clients the worst. Unfortunately, nothing, at least not yet. The host is working on it. You have to wait until they get the server stabilized. Keep in mind that they may be able to get your site back live even before they stabilize the server it is on. Or, they may have mirrored or moved your site to another server temporarily. It’s a good idea to wait until your site and its server are stable before you attempt a move. That may several days, or up to a week. Follow me or your host provider directly to keep on top of the news, and then wait at least a day until they give the all clear. Ever since EIG purchased HostGator, I’ve been experiencing issues, and so have my clients, including those on BlueHost too. EIG had previously purchased them. I had already been looking for a new host and had planned to move next week. This fiasco has caused me to make that public sooner than I had wanted to, only because I would like to be on the host for a few months first before suggesting clients go there too. Here’s my post with more on all of that. I still plan to move late next week if the servers stabilize. I’m also in the process of setting up my affiliate account with A2 Hosting and creating tutorials for my clients to make the transition smoothly too. I’m also negotiating for more discounts. I’ll have a post on all it by Monday. 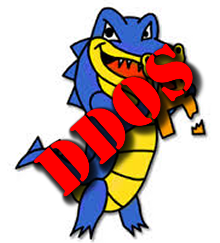 So hang tight and let the DDoS pass and then read my posts for more info and links on making an easy move yourself. As someone who moved to Bluehost within the last year, I appreciate your keeping up with all of the shake-up. I\’ve also enjoyed reading many of your other posts! Gone to check out A2. Thanks for your kind words Lisa! Hope you find A2 a good fit for your needs. Hello, we actually have 4 shopping cart websites as well as an informational site for our retail store in Minneapolis. We like everyone else were knocked offline Thursday & Friday from Bluehost. They said this was a “Power Failure” and this is the official line still. Unfortunately, I upgraded to a dedicated server on Friday night at a cost of $1,438.93 and I had paid for other upgrades recently. Saturday morning just as we were launching a major sale and just sent out a newsletter to 3,500 customers all our sites went dead and have stayed dead since then. Our informational site is up, but all the links are dead end, all our company e-mail is also down. We have contacted Blue Host numerous times, but the few times we ever got through to Tech staff, they said “there is a glitchand your sites should be working soon. The same story for for days now. As for submitting a ticket, the only response I received was from accounting to call the tech help. My business has been devastated these past 4 days and I am sure they will not get our sites for several more days. Upgrading with them was one of the worst business mistakes I made in the last few years. We have been with them about 6 years now. Oh Robert, that’s horrible. I was upset when BlueHost told two of my clients that the only resolution to their slow sites was to upgrade. That’s just bad business. I’ve moved all of my hosting business to A2 Hosting. You can read about it here. It’s so sad. I was crazy happy with HostGator and delighted to work with BlueHost too until EIG bought them. I really hope that all other hosting companies will take note of what has happened and vow to never sell out to EIG. Best of luck to you in your site recovery!!! Thank you for putting this together! I experienced an 8-9 hour shutdown on two HG hosted sites last week. Since then they’ve been still very slow, and I’m worried this may affect my PR Updates. Your advice is taken!